The Ares Mothership is a large Martian vehicle propelled by unknown means, and it represents the first extraterrestrial construct to enter Earth’s atmosphere in recorded history. Its powerful lasers immediately answered the question of whether alien intelligence would be friendly or hostile. 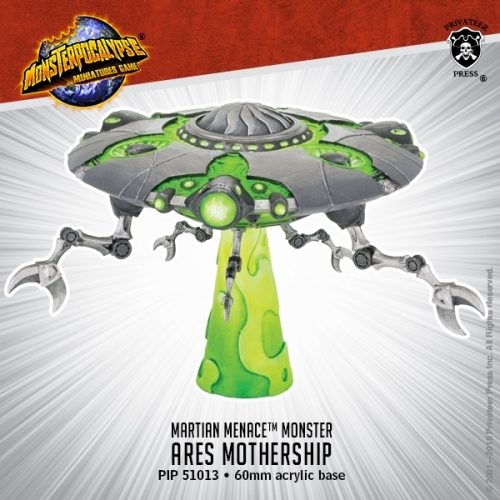 As the vanguard of the Martian invasion of the planet, Ares Mothership prosecutes a campaign of destruction across the globe, securing valuable resources that it can transform into new Martian assault craft.